On the east bank of the River Great Ouse between St Neots and the Offords, Great Paxton extends for a mile or so beside the main rail link, Kings Cross to Edinburgh. At its centre is a pleasant pub, The Bell, and at the northern end of the village is the Church, a highly interesting Saxon building with one of the rare aisled naves of that period still left in this country. The Bell has been under new ownership for some time and the new owners are making changes that ensure that it retains its centrality within the village with many of the club activities/teams being core to keeping the Village Local feel.With plans to incorporate a local corner shop. Visit its web site to find out more. 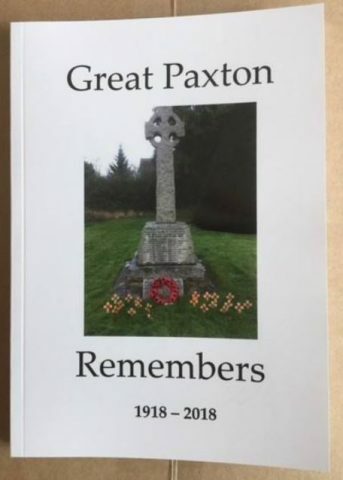 Great Paxton Friendship Group – The first Tuesday of every month @ 11:00am to 12:30 pm, The Bell – tea, coffee and cake and a lot of chat. Further details contact Cathy Bowles or Susan Bate on telephone number 01480 423085. OR just turn up on the day.